LG Intuition VS950 is newest LG VS family product which have been partnered to enchance the mobile experience on your LG phone.LG Intuition VS950 offers extreme organization, intuitive, customization, advanced photography and several features that are uniquely to LG device. 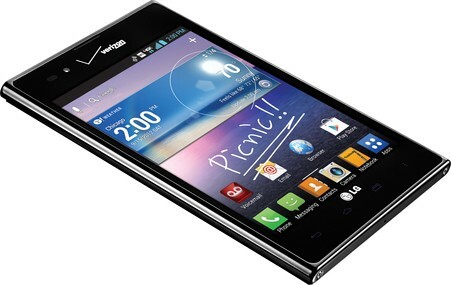 LG Intuition VS950 have dimensions 5.50"(H) X 3.56"(W) X 0.33"(D) and 5.00" True-XGA IPS Display Touch Screen I'think you are can satisfied with play this LG Intuition VS950. Learn more LG Intuition VS950 with download LG Intuition VS950 user manual in below and fun life with your LG Intuition VS950.